Bridge the Gap to Pine Ridge aired July 19, 2013. Host Chris Bashinelli explores and learns about the Oglala Lakota Native American culture. In Bridge the Gap to Pine Ridge, host and global explorer Chris Bashinelli travels the world to experience life outside of his hometown — Brooklyn, New York. 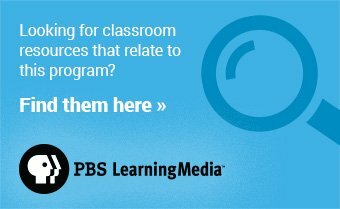 In this program, he visits the Pine Ridge Indian Reservation to explore a culture all but expunged from the history books, that of the Oglala Lakota Native Americans. While there, he embarks on a life-changing buffalo harvest, gets “schooled” by the women’s college basketball team, visits with a 14-year-old suicide prevention activist, and finds himself shoulder deep up a cow’s backside while trying to better understand employment issues on the reservation. With humor and pathos, he uncovers stories of hope and learns how culture has prevailed in the face of adversity. 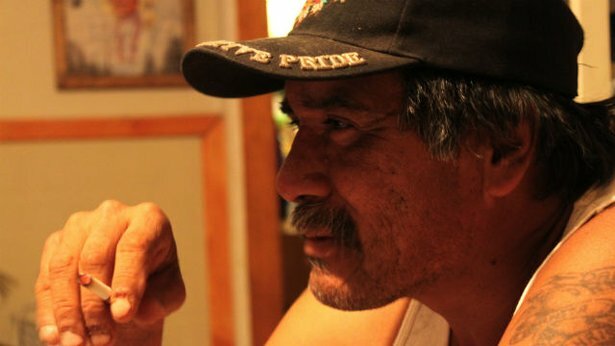 Martin Bad Wound, a respected community leader on the Pine Ridge Indian Reservation. The words of Martin Bad Wound echo in Chris’s mind. Martin is a man living on the brink of death. He has a bleeding spleen, a vertebrae sticking through his lung, a club foot, diabetes, high blood pressure, and he needs open heart surgery. At 45-years-old he looks no less than 60. Martin is an Oglala Lakota Native American. What’s most remarkable is that despite his immense physical pain, he continues to put others first. Martin goes out into the community and finds day labor work for the reservation’s youth, helping to fight the staggering 80% unemployment rate. Martin represents a larger metaphor for the Lakota way of life, one that is not normally portrayed on American media outlets- selflessness. Tribe first. Self last. 24-year-old Chris Bashinelli immerses himself fully into Lakota culture on this most personal journey in order to flip the media’s “negative” lens. The adventure begins with a buffalo harvest. Witnessing a two thousand pound animal die completely shifts Chris’s perspective on food and sacrifice. Patricia Hammond, a community volunteer, leads the hunt and ceremony with reverence. From there, Chris tests his skills on the court with the women’s college basketball team, embarrassing himself beyond belief. He learns that basketball is more than just a game in Pine Ridge, it’s a way out of poverty and into the classroom. He’s sees more proof of the giving spirit of the Lakota people when he meets a student, whose coach gave her food, clothing, and a home, for nearly 10 years- so she could receive her education. A 12 hour day of ranch work with a young Lakota man named Marcus, reveals some unique correlations between the “Lakota” and the “Western” mentality. But it’s the evening with the Suicide Prevention program that is inspiring more than one could imagine. After a fourteen year old girl shares her story of attempting suicide, when Chris seems to have lost all hope, the group rallies with love in support of Chris, a complete stranger, to remind him of the importance of looking beyond ourselves. Bridge the Gap TV and Vison Maker Media. Executive Producer is Chris Bashinelli. Co-Executive Producer is Tracey Gudwin.